Lots more fun inside. Click here for galleries. If you want to see a collection of Marshall's work, visit the Phoebe Apperson Hearst Library of Lead, SD. Or just visit the library because it's a friendly, happy place with a lot of wonderful books and other things you can check out. 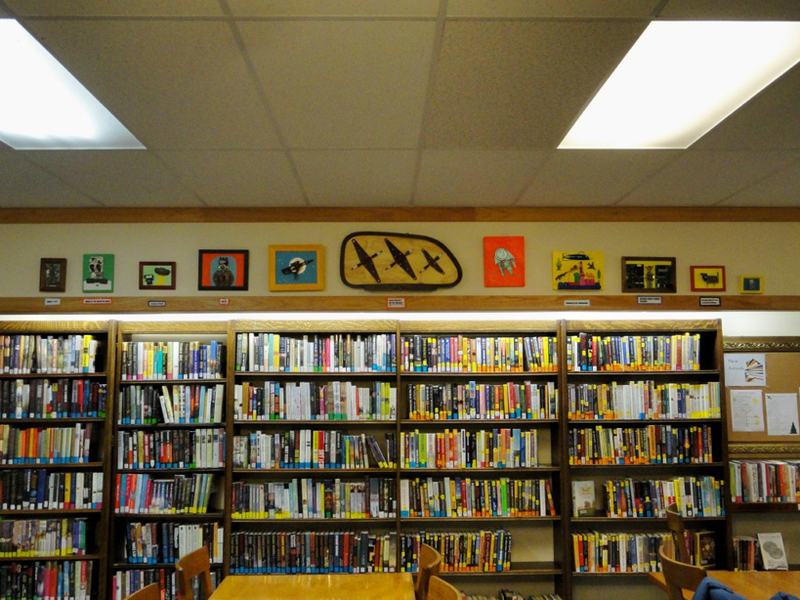 Thank you, Phoebe Apperson Hearst Library of Lead, SD for supporting local artists! Marshall thanks the Dahl, the Adams Museum for hosting numerous showings. See pictures from past exhibitions.